Transiting Pluto is square the native's solar arc Pallas, and transiting Jupiter is novile/semisquare the same solar arc Pallas (and approaching a trine to the natal Pallas). 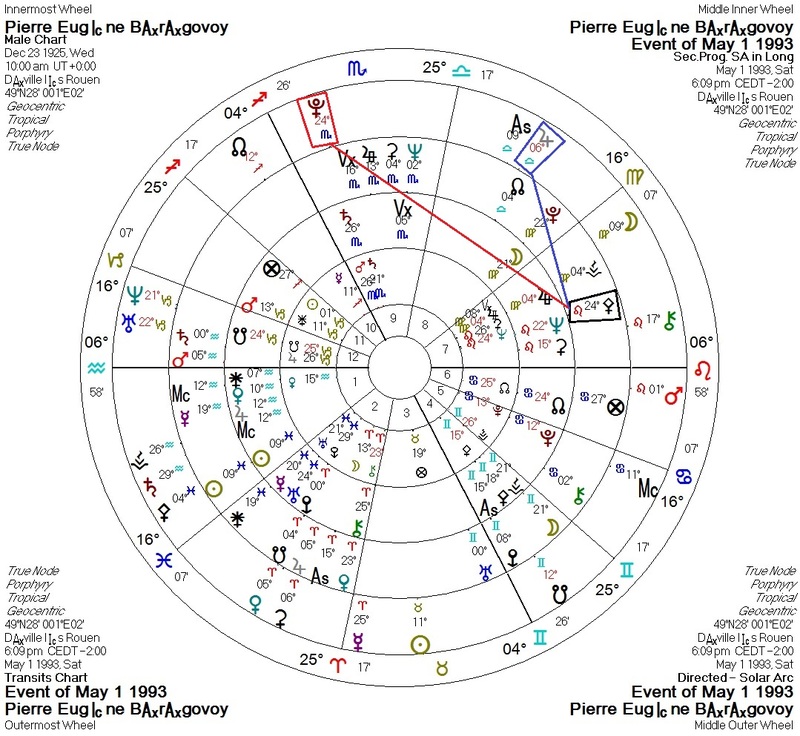 Again, I do not claim to have disproven Mr. Cornelius' assertion that there is (probably) no quantifiable astrological signature for such events. I merely raise the possibility that such a signature may exist, one which involves heretofore unconsidered variables.